My wife and I are proud VCU alumni and basketball season ticket holders. 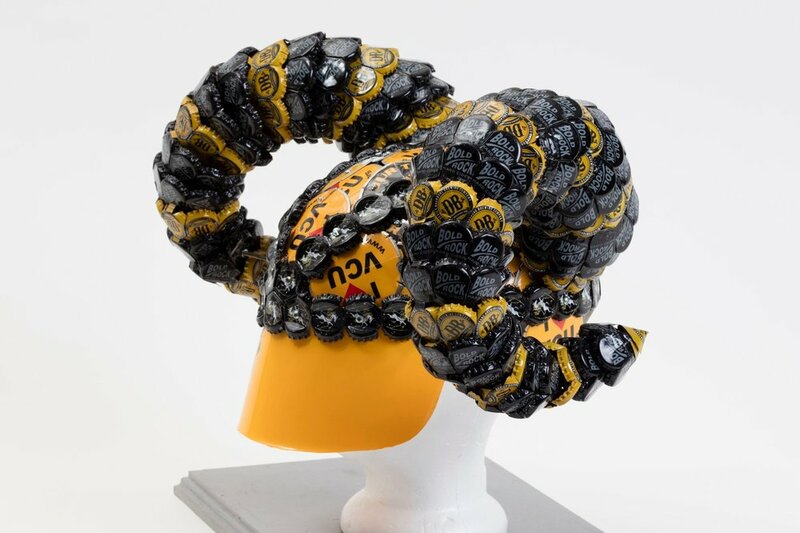 You will often spot us at games sporting our bottle cap horns. They where quite a challenge. First we had to make a “helmet” that would be comfortable on our heads and sturdy enough to support the weight of the horns. There are aluminum strips and thick weather stripping under the rows of caps. It took a lot of trial and error to get the taper, length, twist and curl of the horns just right. 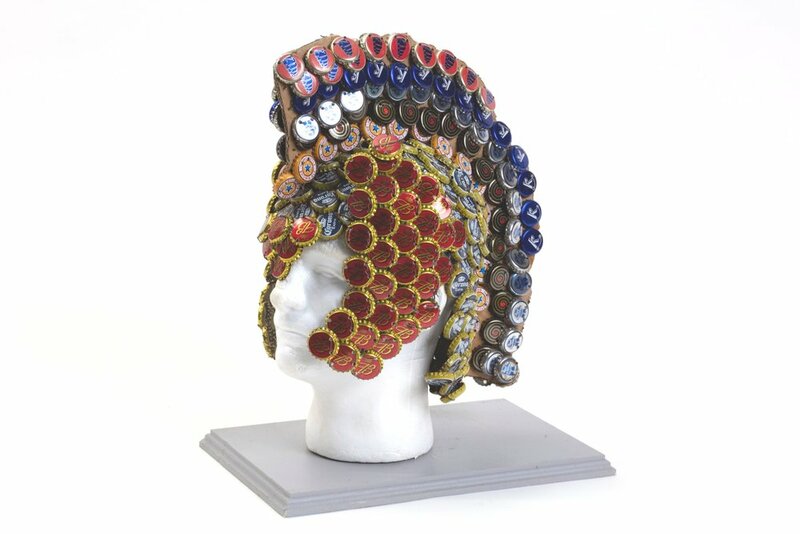 There are 24 individual rings on each horn, each containing from 12 down to 5 caps. The rings are crimped together. The horns are bolted to the helmet. There are 464 caps in all. We refined our methods for the second set, but they were basically built the same as before. These horns are three rows shorter and the helmet is slightly smaller. We wanted it to be more realistic and less cartoonish than the first. 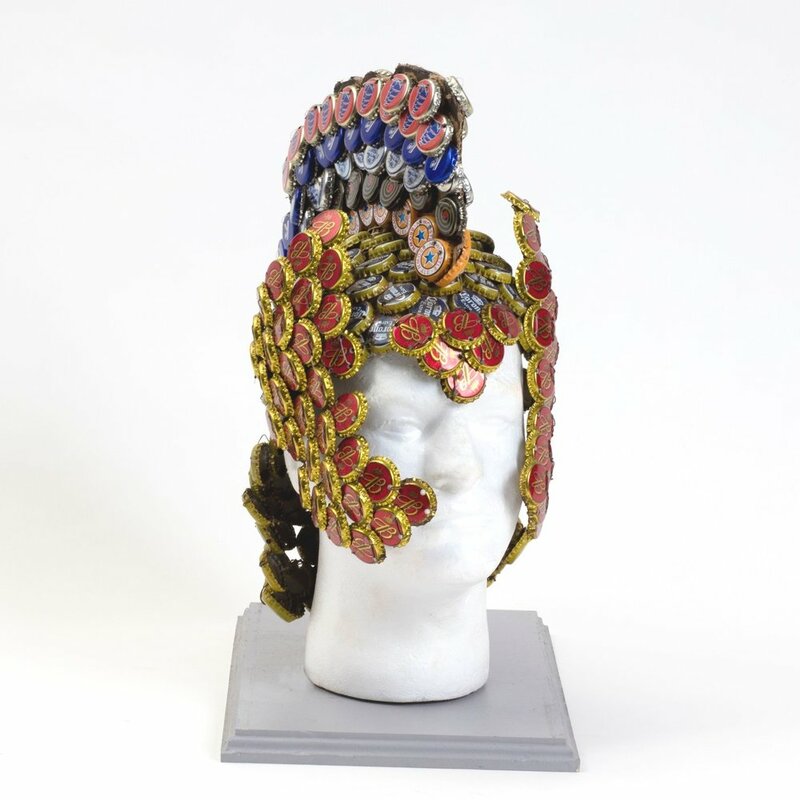 Here’s some additional wearable art we have created. The helmet is part of the suit of armor we made for Halloween years ago. 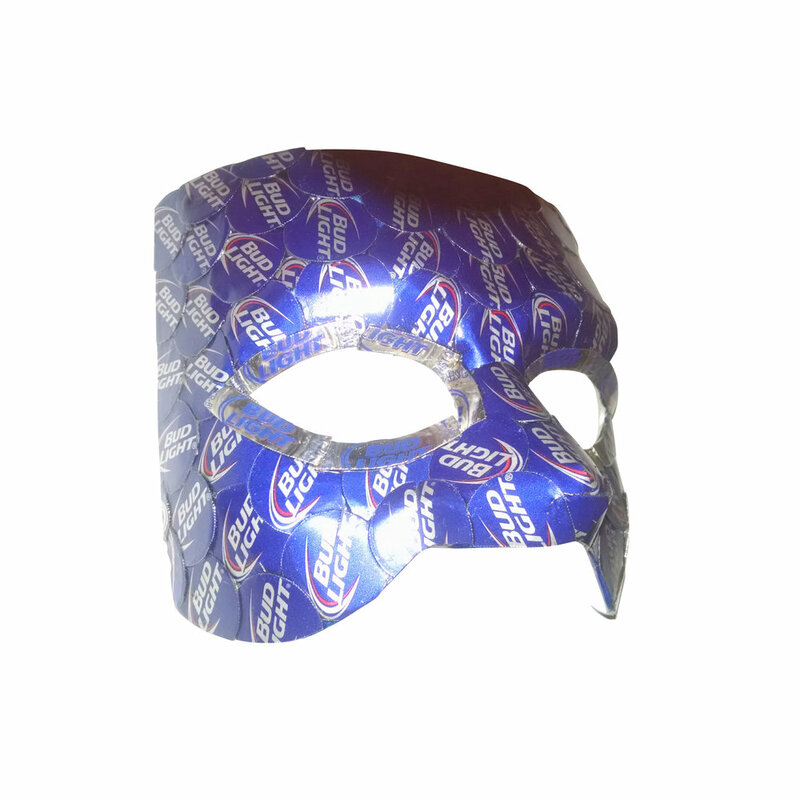 The Bud Light mask was commissioned.